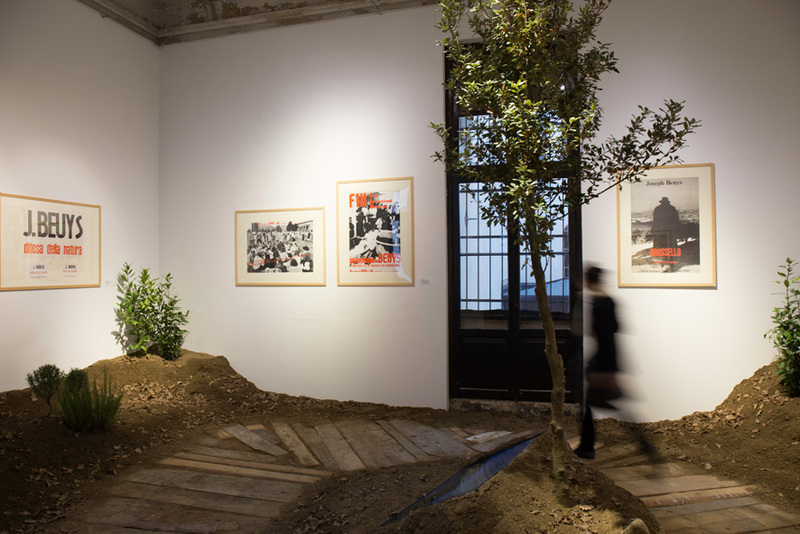 Fondazione Bonotto, as part of its path of experimentation with new exhibition and communication strategies, and to spread the thought and works of Fluxus and Experimental Poetry, participates at the VENICE INTERNATIONAL PERFORMANCE ART WEEK 2014 with specific projects: the first two projects are part of the framework of Exhibitions, and are dedicated to two major international performance artists who have understood their actions as a way to change, in a radical way, the approach to reality and its interpretation: Alain Arias-Misson and Joseph Beuys. 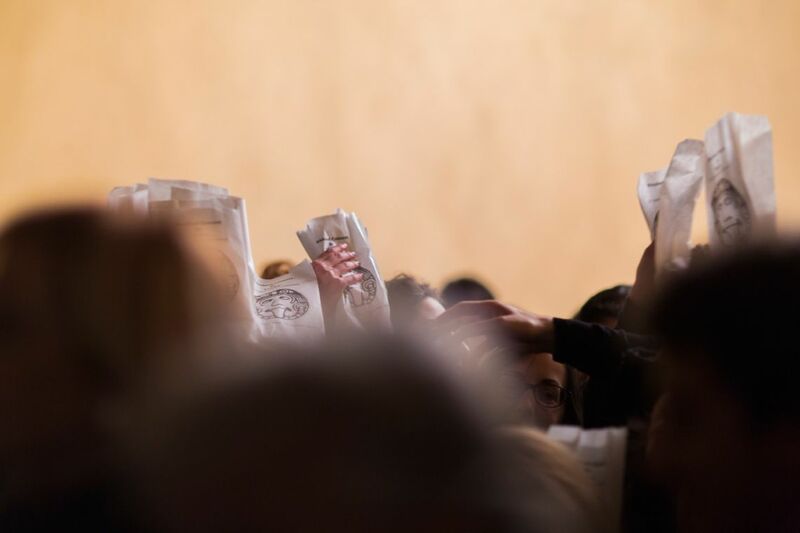 The third project, part of the Live Performance program, presents a Food Fluxus Concert curated by Gianni Emilio Simonetti. Alain Arias-Misson, The Punctuation Public Poem. 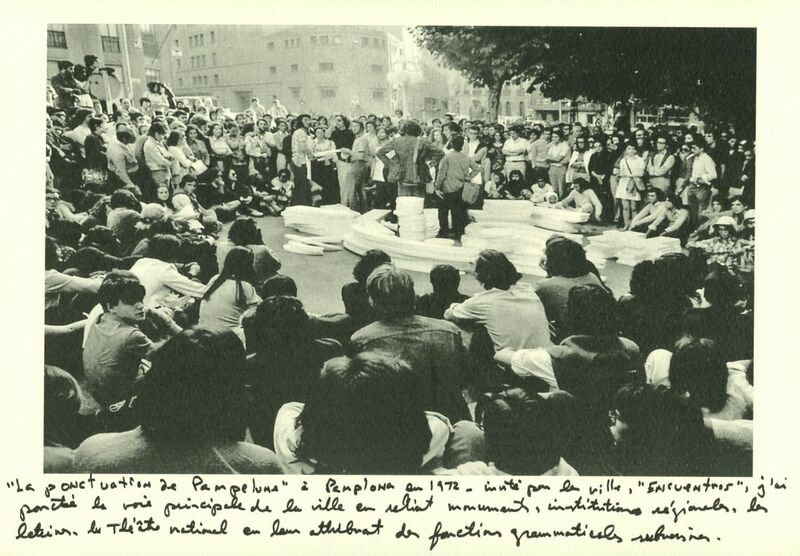 Pamplona (1972). 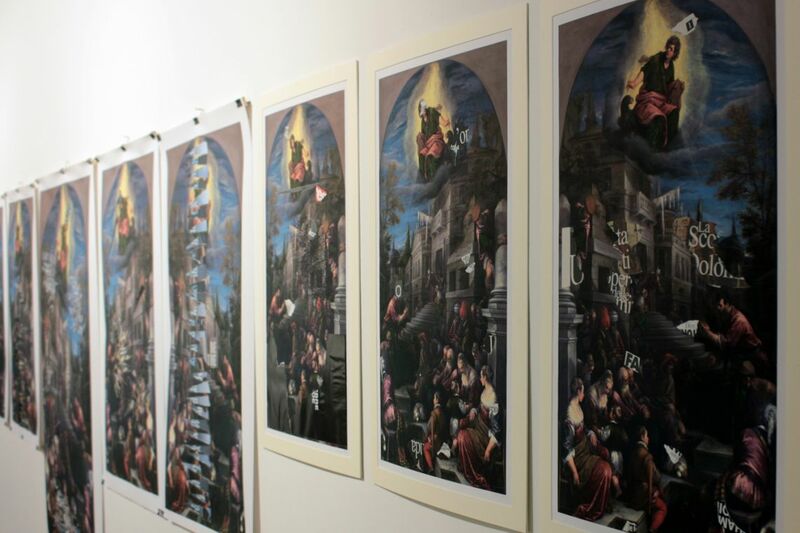 Courtesy Fondazione Bonotto. 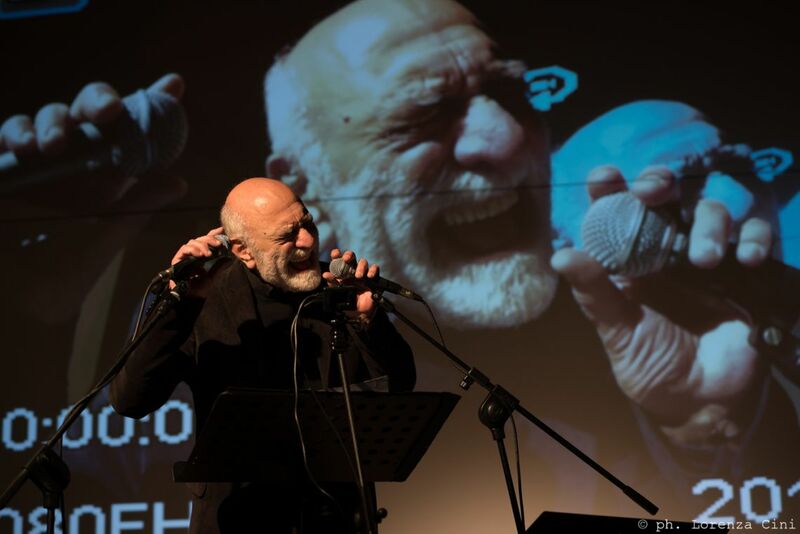 Gianni Emilio Simonetti, Fluxfood Concert In Venice (A multitasking performance). Venice International Performance Art Week (2014). Photograph by Monika Sobczak. 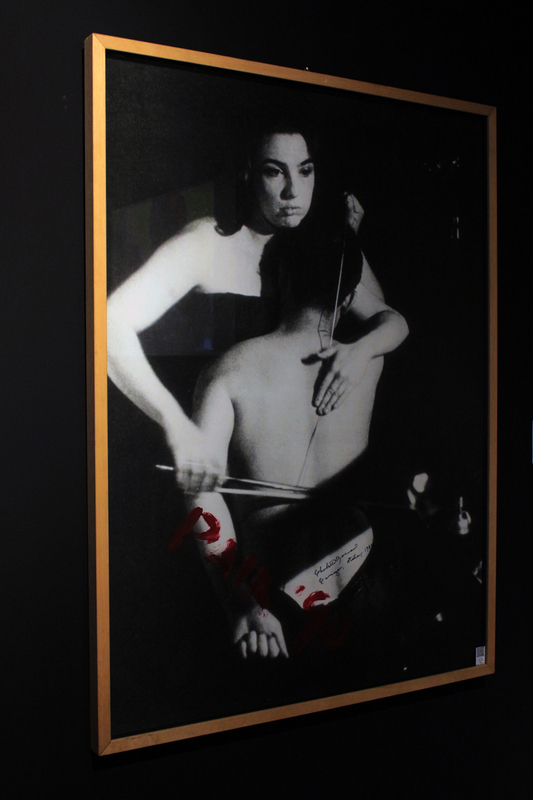 The VENICE INTERNATIONAL PERFORMANCE ART WEEK 2016 saw the Foundation's participations with works in exhibition by Arrigo Lora Totino, Charlotte Moorman & Nam June Paik, Jud Yalkut, and Giovanni Fontana, who also presents a live performance. The BONOTTO FOUNDATION was established in June 2013 in order to promote the Luigi Bonotto Collection and aims at developing a new way of relating between art, business and contemporary culture at the international level. These are the three main pillars around which the life, activity and success of Luigi Bonotto, the Foundation’s creator and sponsor, has developed. • to develop the relationship between artisan craftsmanship and industrial production and the art system, each fed by the same creativity, each central in the life of Luigi Bonotto. The Bonotto Foundation is winding up a project of digitalising all the works and documents housed in the Luigi Bonotto Collection. 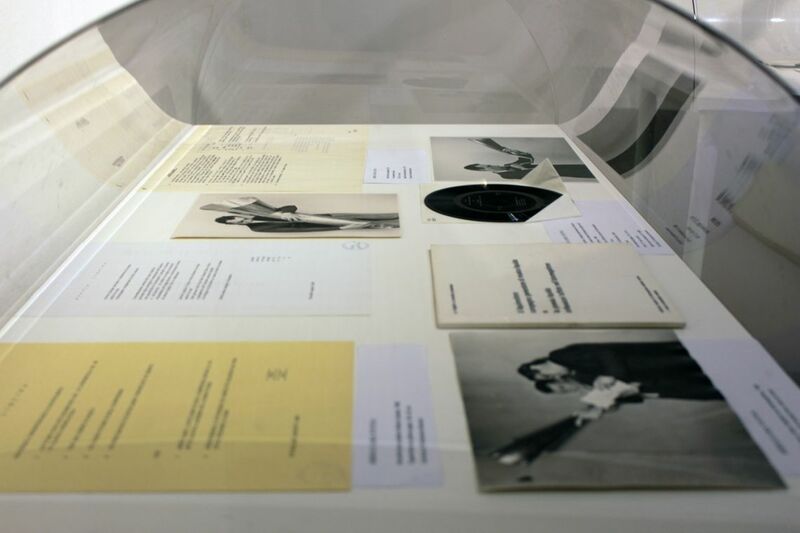 The Collection is making them freely available on-line on its website to all the curators, museum directors, scholars and enthusiasts who are interested in extending their knowledge of Fluxus, Concrete Poetry, Visual Poetry and Sound Poetry.